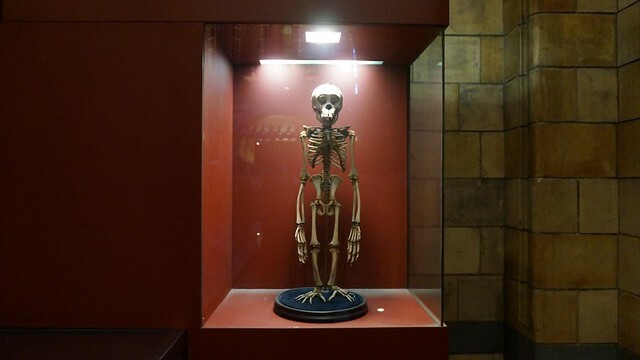 London’s Natural History Museum In South Kensington – British Museum – CHECKED, Natural History Museum – newly CHECKED. 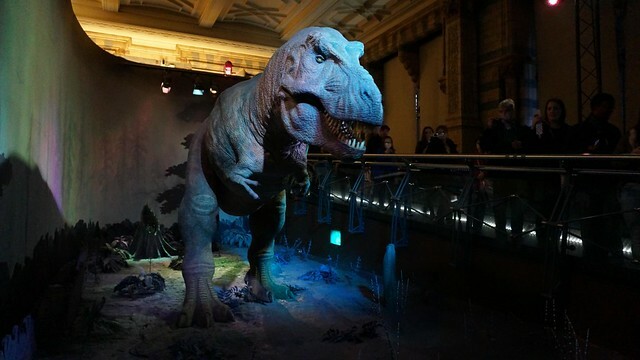 The best thing about London is that there’s plenty of museum and gallery for arts and intellectual individual, and the best of the best that most of that has no entry fee or whatsoever, except some private showcase. Even if you are not a museum person, I still think you should pay a visit to these museums as the architecture and (or) interior design is very cool. 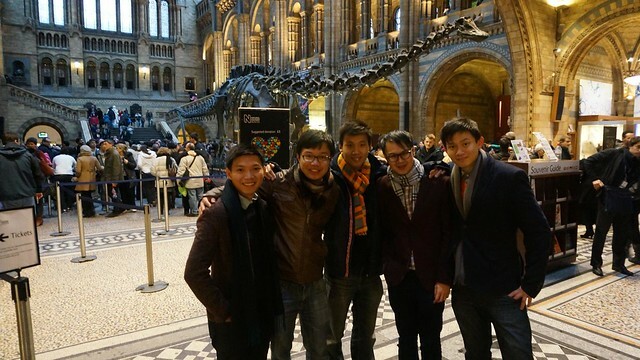 On the day before 2014 arrives, me and a bunch of Penangite went for a tour at the Natural History Museum in South Kensington before heading to Westminster for the greatest New Year countdown in the world. 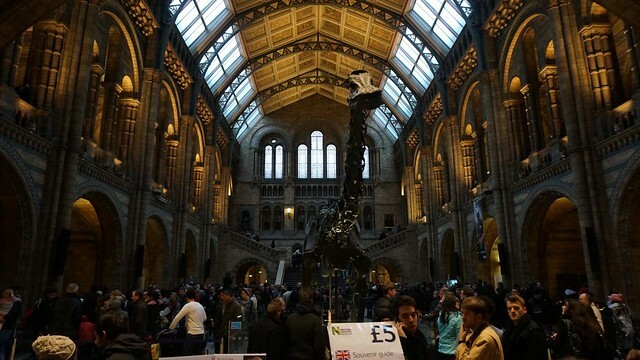 One, was to kill time as it’s still early, second; was to cross the list of free-museums in London. 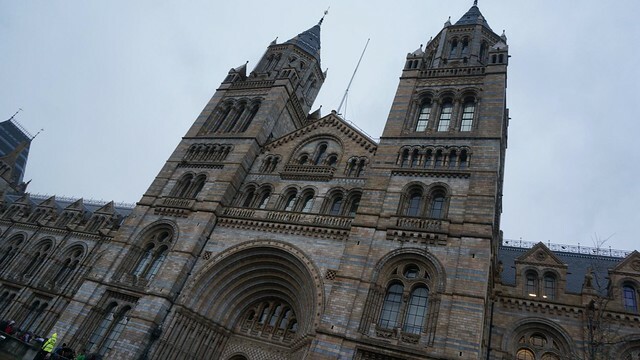 The visit also brings me to South Kensington for the first time where the Royal Albert Hall, Harrods & Discovery Museum are also located nearby. 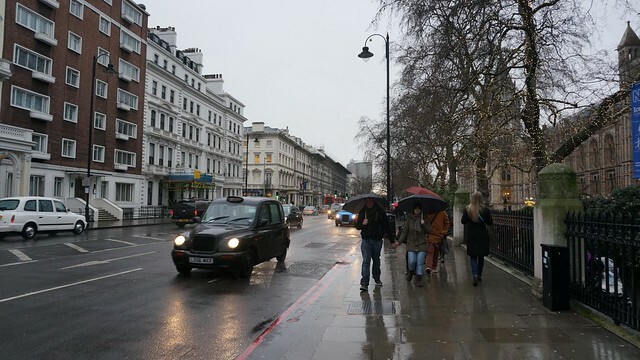 London is really horny, she’s always that wet, as usual on that day. 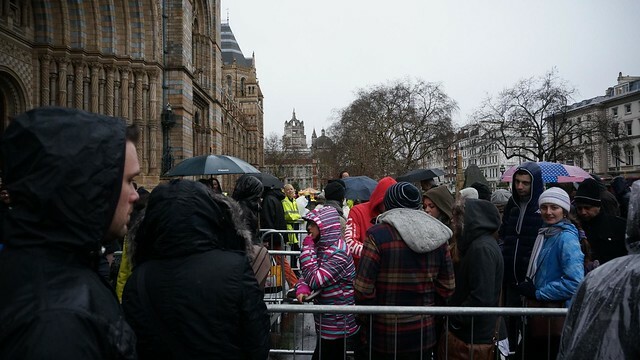 Queuing outside the rainy weather was frustrating and it took about 45 minutes to get in. Yes, the queue is always that long, everyday, even longer during holiday. I didn’t encounter queuing at the British Museum though! Why would people love dinosaurs so much. 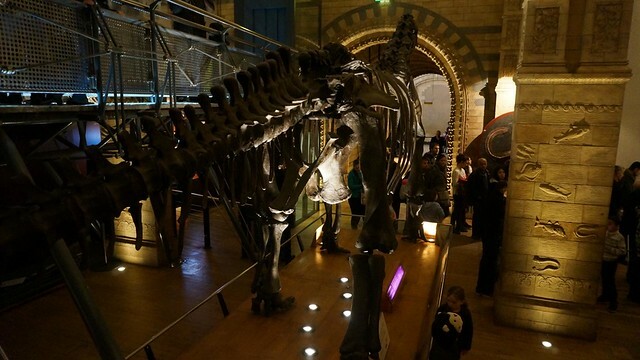 In there, it’s a queue again, more like a line, you can hardly roam freely, you have to follow the viewing line that everyone is moving to see the history of dinosaurs and bones. 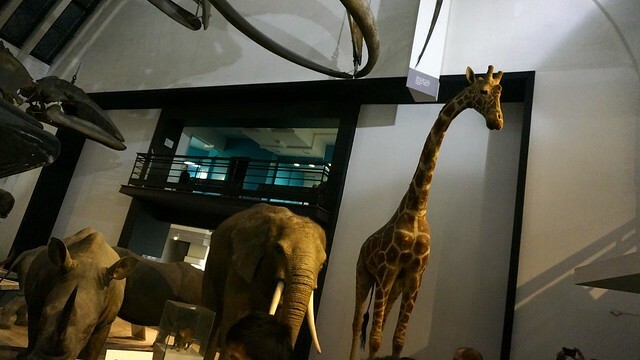 Then there’s several halls that showcase different type of animals, more like a zoo, except with animal sculpture instead of real animal. I think there’s more thing to see, but we leaved after seeing dinosaurs and animals cause we found it rather boring and not interesting to us. HAHA. It’s good one, just it was too crowded and we were more looking forward to the New Year’s Eve countdown. T-Rex! Not really scary after all.